Wednesday, Nov. 14 was national fall signing day for seniors looking to play at the next level. Student-athletes from each sport made their plans for next fall official. Senior Tori Strickbine signed to play volleyball at Chadron State College next year. “Chadron State is located in northwest Nebraska and is driving distance from Rapid City, South Dakota,” Strickbine said. Although she will be 10 hours from home, she said she is excited for what her next chapter has in store. “I’m excited to continue playing the sport I love and can’t wait to meet new people through it,” Strickbine said. Strickbine said the choice to play was not always crystal clear. “I chose Chadron State because of the family atmosphere, as soon as I got to campus I felt right at home,” Strickbine said. 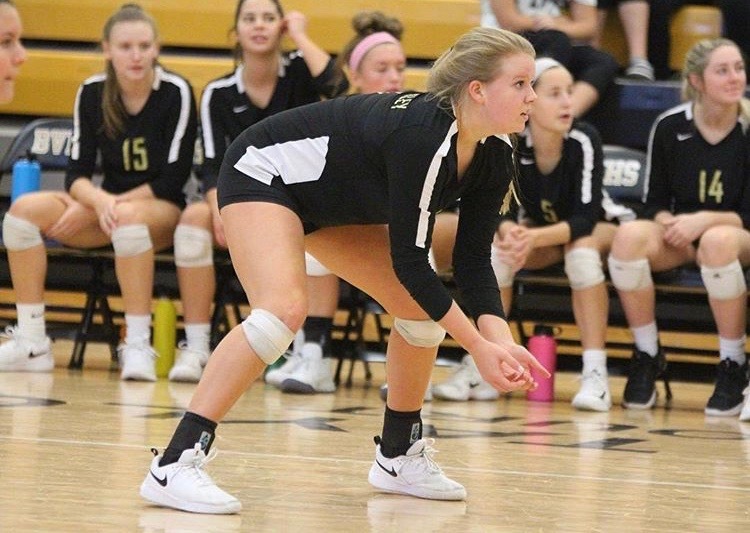 Strickbine has played volleyball since she was 11 years old and has played Varsity at Blue Valley since she was a freshman.